Please find below links to statutory information for Montgomery Road Campus. Please click here for the Raedwald Trust Careers & Education Policy. Our Lead for Careers Education is Martin Weston. This year, we are happy to be working towards the prestigious Investors in Careers award. Across all of our age groups, there is no restriction as to how many 1:1 guidance appointments students can have over their time with us. We also welcome parents and families to contact us for any advice or guidance they require. The careers team is always happy to meet with you. Experiencing the world of work and employers’ expectations is vital in moving towards employ-ability. During Year 10 all students take part in a one day a week group community volunteering at Green Light Trust for 6 weeks. Year 10 also take part in a group enterprise project for 7 weeks planning and delivering a project that also involves fundraising. Later in Year 10, pupils will have the chance to embark on individual work experience placements or work shadowing, and to group interview professionals about their jobs to practice their own interview skills. The focus is very much on developing their employ-ability skills. Students will also visit the Suffolk Skills Show in October at Trinity Park. 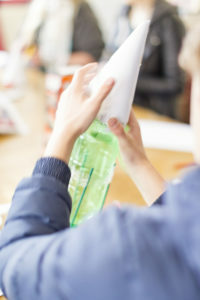 Preparation for Progressions – students undergo a programme of education, information and guidance to help them make the vital decisions about their future. A series of PHSE lessons teaches them about effective decision making, explores their options and gives support in making their applications. It covers the full range of routes into their future including sixth form, FE College, apprenticeships and school leaver programmes. This is supported by 1:1 careers/college preparation interviews and a progression interview with a member of the Early Help Team. All pupils have the opportunity to gain a qualification in Preparation for Working Life via their PHSE programmes. Staff offer practical support with placement/college visits and interviews, taster sessions and travel training to assist with moving on.